1. What is the City of Springfield’s Water Supply System? 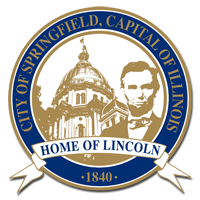 The City of Springfield, City Water, Light & Power (City) operates an integrated water supply, purification, transmission, and distribution system. The City’s service area encompasses approximately 100 square miles with more than 52,600 service connections and a population of about 147,000. The City’s current source of water is Lake Springfield that was constructed in the 1930s. The lake serves as the water source for its drinking water supply and the cooling water supply for the City’s coal-fired power generating plants. As a result of drought conditions in 1953-1955, the City constructed a movable low head dam across the South Fork of the Sangamon River to supplement the Lake Springfield water supply during low lake levels. The National Environmental Policy Act (NEPA) is a federal law that requires the identification and analysis of potential environmental effects of federal permitted actions. NEPA requires federal agencies consider systematic and interdisciplinary process to arrive federal decision-making. The NEPA process requires an analysis of environmental impacts associated with a range of project alternatives in support of that decision-making. As part of NEPA, the public is informed and its concerns considered during the decision-making process. More information on NEPA is available on the Council on Environmental Quality’s NEPA website at: https://ceq.doe.gov/. 3.	Who is the Lead Federal Agency for this Project? The United States Army Corps of Engineers (USACE) is the Lead federal agency for this project. “Lead agency” means the agency or agencies preparing or having taken primary responsibility for preparing the environmental impact statement. 4. Why is the United States Army Corps of Engineers Involved in the Project? As the lead federal agency the USACE is responsible for development of the SEIS in support of their decision-making authority Section 404 of the Clean Water Act. The SEIS will support any required permitting by USACE for the selected alternative. 5. Why is a Supplemental Environmental Impact Statement (SEIS) required? A Final Environmental Impact Statement (EIS) was prepared and published in November 2000 in which the Hunter Lake Reservoir was identified as the preferred alternative. Due to the length of time since the Final EIS was prepared, the USACE determined that a SEIS is needed to update the assessment of project alternatives and expand and update environmental studies. The USACE identified areas in the original EIS where information should be updated, such as the water demand analysis, threatened and endangered species review, surveys for federally listed bat species, wetland delineations, cultural resources programmatic agreement, water quality analysis, and mitigation plans. During the SEIS development, new opportunities for public input will be available. See Process Page for additional information. 6. What is the Proposed Project and its Purpose? The City is seeking to develop a supplemental water supply for municipal, commercial, and industrial customers to address concerns over the adequacy of its water supply. During dry weather periods, the City is concerned that regional water demand may exceed local supplies leading to water shortages. The City has had to impose water use restrictions on its customers in 1988, 2000, and 2012. 7. What are the Needs for the Project? Based on an analysis of the City’s water storage and capacity, the Illinois State Water Survey (ISWS) had determined that Lake Springfield is an inadequate water supply system with a 50% probability of not meeting expected water supply demands. Under conditions of reduced water availability, such as drought conditions, the City is at risk of not meeting water supply demands (both existing and future) for commercial and residential water use and for industrial water supply (power plant operation and condenser cooling). 8. How Often Does the City Experience Droughts? Within the last 30 years, the City has experienced 3 droughts (1988, 2000, and 2012) which have led to mandatory water use restrictions. The drought of record from the 1950s lasted two years. 9. What Alternatives are Being Considered? Conservation measures apply to all alternatives, including the No Action alternative. See Supplemental Water Alternatives Page for additional information. 10. Has an Alternative been Selected for the Project? At this time, no decision regarding a preferred alternative has been made. Information regarding specific alternatives is being reviewed and updated. 11. What about Water Conservation? To help balance water supply and demands, the City has been undertaking water conservation measures to reduce water use and/or water loss. The City conducts water conservation outreach activities, including school programs, Smart Solutions Workshops, water conservation poster contests, and participation at environmental festivals (Earth Day, Kids Fest). The City provides rebates on high efficiency toilets and washers and offers water conservation kits, low flow showerheads, and low flow, water-efficient kitchen and bathroom faucet aerators. However, even with water conservation measures, the City anticipates a need for a supplemental water supply due to the potential of dry weather conditions and anticipated growth in water demand. 12. What is the City Doing to Reduce Water Loss by Leaks? The City water distribution system consists of 760 miles of water main. The City began leak detection surveys in 2007 and has surveyed over 740 miles of water main to date. In 2015, 250 miles of water main were surveyed for leaks. The City views the Leak Detection Program as not only a water conservation practice but a necessity to provide reliable service to our customers. The City is committed to reducing water waste and will continue to perform annual leak detection surveys and plans to complete surveys of the entire distribution system every 4 years. 13. Will the Project Meet Water Quality Standards? In order to receive a permit under Section 404 of the Clean Water Act from the USACE, a Section 401 Water Quality Certification must also be obtained from the Illinois Environmental Protection Agency (IEPA). As part of the Section 401 Water Quality Certification process, the Project will need to demonstrate compliance with Water Quality Standards, such as levels of suspended solids, phosphorus, or other parameters. A study is underway to evaluate water quality concerns and identify if measures (watershed management initiatives and Project best management practices) are needed. 14. When will the SEIS be Completed? The SEIS is anticipated to be completed in 2017 and a preferred alternative to address the need for a supplemental water supply will be identified. See SEIS Process Page for additional information. 15. How can the Public and Other Interested Parties be Involved? To promote open communication about the Project, the public and other interested parties can get involved and stay informed about the project by visiting this Project website periodically, attending public meetings, and providing comments and input during the SEIS development process. 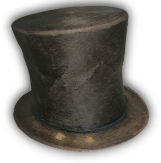 As an example, by going to the comment page, you can provide input to the Project Team. Formal comment periods also will occur as part of SEIS development, such as during the project scoping period and public review of the draft SEIS document.